A Fresh Start in the New Year… | My Journeys Through Life . . . Herding Cats In New Mexico! As we begin the new year, I want to get a fresh start to the home education in our family. Flexibility is very important to us, for a variety of reasons. We like to be able to pick up and head out to the park if it’s a nice day, so it’s nice to not feel wedded to a specific, rigid structure in our home-schooling. 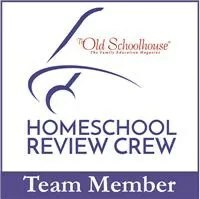 Now that I’m a member of the Schoolhouse Review Crew, being flexible is also helpful when it comes to being able to add new things into our educational program when they become available to us. For example, we’ll soon be adding in a beginning Spanish program, which makes us very happy, because we’ve recently moved from MI to NM, and feel that learning the Spanish language would be a good thing in our new life. As part of our fresh start, we will be getting into the History of Classical Music from Beautiful Feet Books. We bought this shortly before finding out we would be moving, so until now, had done nothing more than check to see that all the components were in the box before taping it back up for the movers. 🙂 This program, along with the Early American History package that we also have from Beautiful Feet, are put together from a Christian viewpoint, which I prefer. We’ve been slowly working our way through the history package over a few years. I also have the guide for Teaching Character through Literature from Beautiful Feet, and several of the books. We’ll be adding in a math CD program for one of my kids who is very behind in math, to see how it works for him. My kids love, love, love doing lapbooks, and there are tons of them online, free to download and print out. For Bible, we are going to use the guide for reading the Bible in a year that our church is giving us. Several years ago, I received via a grant program online, a huge set of prints of American art. I intend to use them for Art Appreciation with a Charlotte Mason style slant. other thing I’m looking forward to is getting involved with our church’s home-school group. The home school moms in our church will be having a meeting this coming Tuesday evening to brainstorm activity ideas for the rest of the school year. This is important to me because I want my kids more involved with kids from church. I also want to look for opportunities for my kids to become involved in service to the Lord, which I think is even more important than academics. More than anything at all, I want them to love the Lord and want to serve Him in whatever way he calls them to serve, not to mention the fact that the more involved one is in service to the Lord, the less opportunities one has to fall for sinful temptations. Now that I have my NM driver’s license, I can get a library card. Once I do that, we can take advantage of some of the free enrichment classes they offer, not to mention the fact that really, one can home-school with a Bible and a library card. We want to add walking into our program, beginning with walking the length of our block while my husband is recovering from spinal surgery, building from that, to walking around the block, to eventually long walks throughout our neighborhood. I will be rebuilding our supply of board games, concentrating on educational games, and instituting a family game night once a week. We have Yahtzee, which we will begin with, as it will help with math and strategy. We’ve been here in NM for five months now, and finally feel like we’re home, and ready for this fresh start. I’m excited to see what this new year brings to us!